Tea, coffee, or beverages like that are an essential part of our lives. Our mornings are incomplete without a cup of coffee, frequent breaks from our routine work and taking a cup or two of our favorite tea or coffee is just a routine. This makes kettles an essential part of our kitchenware. We need warm water throughout the day for one thing or the other that makes kettles all the more useful. When it comes to buying the kettle, there are too many options in the market. You can buy stovetop kettles that have a fabulous look, blend in your kitchen interior, and functions well under all conditions. An electric kettle is another great option that is convenient, works quickly, and are portable. Stove kettle is a traditional way of making tea or coffee. It is capable of heating water above boiling point. Some people like to brew their tea in boiling water for extracting the true flavor of tea leaves. Stove kettles are easy to clean and can be put on induction, gas, or electric stove. Stove kettles come at a more affordable price. Those with a tight budget need not spend extra bucks on electric kettles when stove kettles work just fine. 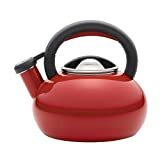 Although electric kettles are also coming in very elegant designs and colors but still stovetop kettles have more variety in design, shapes, and colors. You can choose the one that blends in your kitchen’s interior. Many shapes, materials, and colors of kettles are available that looks fabulous and functions well. Electric kettles depend on electricity and have to be plugged in for functioning. They cannot work in power cuts, or during your outdoor activities like camping or picnics. Whereas an electric kettle can work on any stove or you can even put it on a campfire. Convenience and portability are the hallmarks of electric kettles. An electric kettle has a heating element in the bottom. The kettle is plugged into the plug and water is heated with electric power. The advantages of an electric kettle that makes it more useful are as followings. Electric kettles are a lot more time to save than stove kettles. These high voltage kettles take no more than few minutes to heat water and bring it to boiling point. As compared to the electric kettles, stovetop kettles take long to boil water. Unlike stovetop kettles, electric kettles do not depend on the stove that is usually found only in a kitchen. The best part of having an electric kettle is that you can place it where you, in office, workplace, study table, or desk. All you have to do is to plug in the kettle and rest is easy. So electric kettles are more portable and suit everyone with an electrical outlet. Technology has made electric kettles way too smarter than the traditional stovetop kettle. Mere boiling water is not enough. Some teas are too sensitive to be boiled, and their real flavor and taste may be destroyed with over boiling. In the same way, some drinks like coffee, need water above boiling point. What an electric kettle does these days is to give an accurate temperature control. You can heat water on your required temperature and can extract the real flavor of green tea, coffee, white tea or any other drink. Electric kettles are more energy efficient than the stovetop kettles. The heating element below the kettle directly heats the water, and no electricity is lost. On the stove, the flames surround the kettles and heat the air around as well as the water inside. More energy is wasted this way, and thus electric kettles save more energy. Electric kettles come with an auto shutoff system. An electric kettle immediately shutoff when water reaches the required temperature. It not only prevents the overheating but also saves energy. Stovetop kettles have whistling options, and a loud sound can alert when water is ready, but still, it cannot automatically shut off. If you ask our opinion regarding the best electric kettle, then nothing can beat the AmazonBasics Stainless Steel Electric Kettle. The kettle works quickly and with its 1500 watt unit brings water to boiling point in no time. Kettles is beautifully designed and looks beautiful resting on any table or desk. You can place it on your work table and get an instant cup of tea or coffee without having to go to the kitchen. With its auto shutoff system, you can rest assured water is not overheated, and there won’t be any waste of electricity. The kettle has a concealed heating element in the bottom and a simple easy to clean interior. Kettle also comes with a removable filter that can easily be removed and cleaned. The kettle has a convenient cordless design; you can lift off the kettle from the heating element and can easily fill in water or clean without having to worry about the dangling cord. Heat water fast with 1500 watt unit. Easy to clean, fill, and pour. Comes with a removable filter. The kettle can be lifted from the heating element. Does not come with temperature control. We have discussed both types of kettles in detail, and now it is the time of the final verdict. 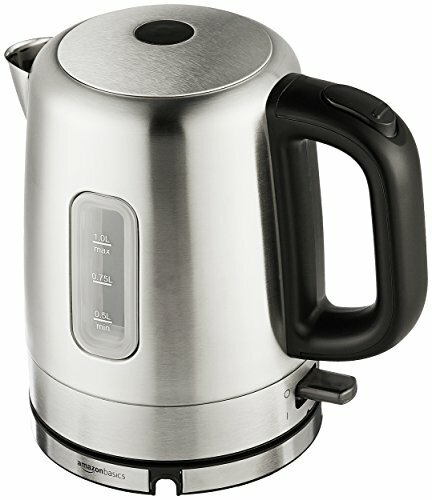 No doubt, electric kettles take the lead in being more convenient, portable, energy efficient and speedy. However, it all boiled down to one factor that is personal preferences. What you choose for you is a matter of your personal convenience and preferences.